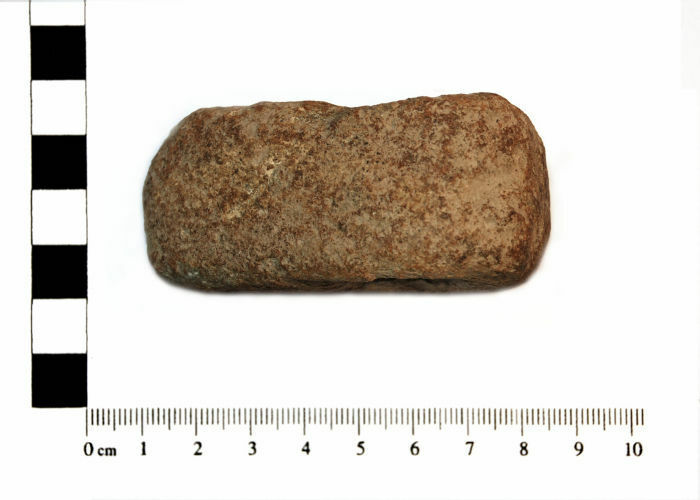 This is a (very) small early Bronze Age/late Neolithic perforated stone axe hammer. The axe is in the form of a ‘teardrop’ with a parallel profile. The perforation is ‘egg timer’ shape, opening from a central diameter of 13.5 mm to 20.7 mm at the outer surface. 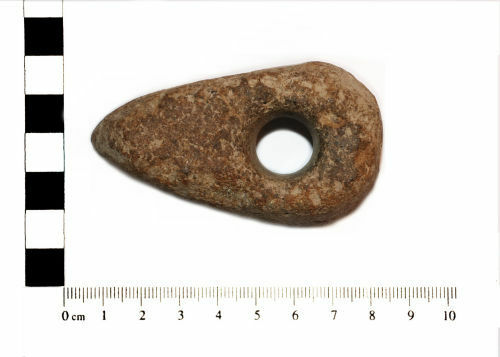 The overall style is consistent with an early class 1 Axe Hammer from Roe’s ‘Typology of Stone Implements with Shafts’. However, whilst the profile fits, the size does not. 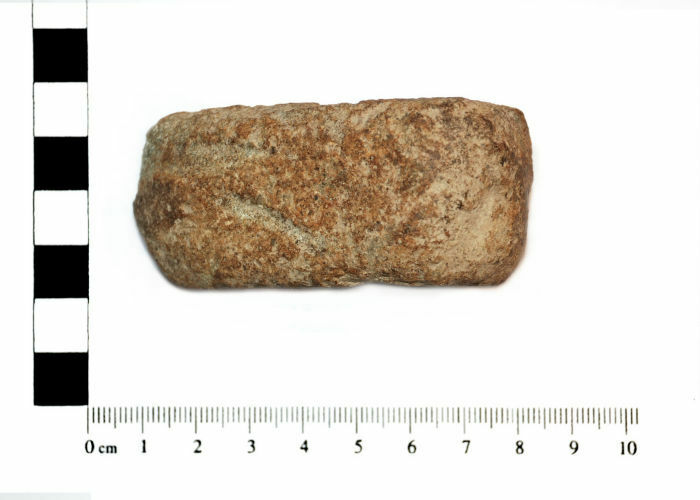 This object is very small at just 7.32 cm long, the more typical axe hammer is double that and more. 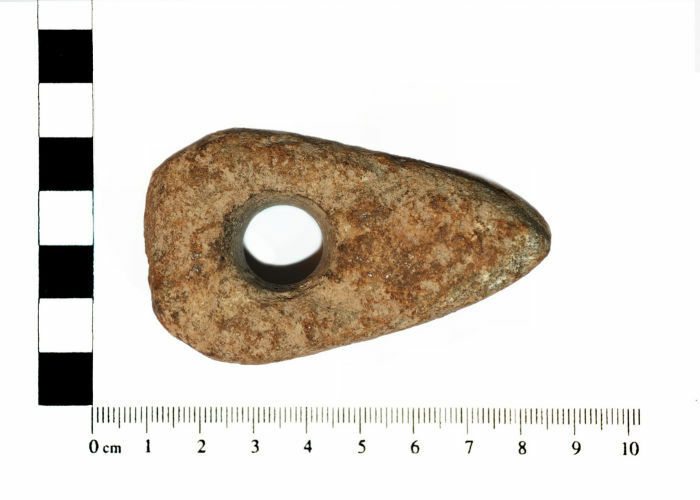 This particular implement may then be ‘votive’ or perhaps even a ‘toy’. As in size and weight, it falls well short of the general class types. The material is beige quartz like with considerable chipping and scarring to the surface. That damage appears to be much later in date as it cuts through the aged surface of the object.